I have to say, WALL-E was way better than I expected. All the previews indicated an odd film with no dialog about a weird little robot that rolls around and looks at various human garbage. Yeah, that sounds like loads of fun. And by fun, I mean BORING! But that is not what the movie was all about. This film was about a love story between two robots from completely different environments, and it was also about what happens to humans after hundreds of years of extreme consumerism, and how they find their way back. It's true that the movie didn't have much dialog, but the great aspect of how everything came together meant it didn't need much dialog to convey the story and emotions. The music, the lighting, the backgrounds, and most importantly the character animations all conveyed the emotion needed to draw you into the film and make you care. And the camera work, with how it changed focus and shook and acted just like a real camera, made the world feel absolutely real, like the movie was filmed and not animated. The story follows the little lonely robot trash compactor named Wall-E. With nobody else around, he follows his directive of cleaning up the city... until one day a spaceship lands and expels a shiny, new robot named Eve. The two become friends of sort, but then Eve shuts down. Attempt after attempt is made by our poor little trash compactor to revive her, but to no avail. Then one day the giant spaceship returns and snatches his little friend back up. 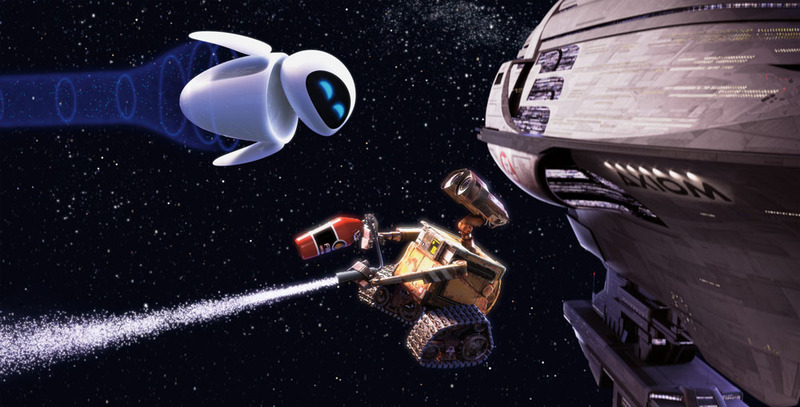 But Wall-E refuses to let her go, and ends up hitching a ride to the ship's final destination... a huge space cruise ship! The three-disc release contains a ton of extra features, and surprisingly most of them are quite good. Plus, the packaging for this thing is quite unique. Rather than opening book-style like a standard DVD case, this case has pull-out sections on both sides. 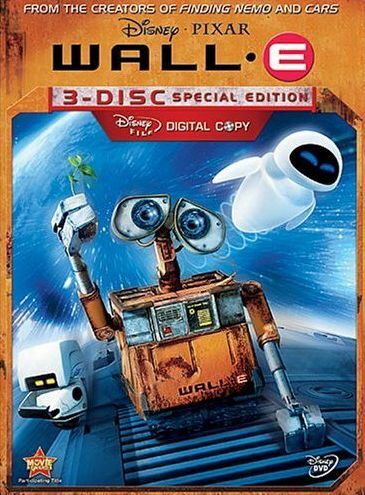 Pulling out the left side and opening the flap reveals disc one, which contains the movie, plus an animated short called BURN-E, another animated short called Presto, two deleted scenes, a sneak peak of WALL-E's Tour of the Universe, and an Animation Sound Design: Building Worlds From The Sound Up featurette. Oh yeah, and there's an audio commentary for the film as well. The right side of the DVD case pulls out to reveal two discs, a bonus disc with more extra features and a digital copy of the movie, so that you can put it on your computer or iPod or whatever. Disc two contains a feature-length film called The Pixar Story which details the rise of computer animation and PIXAR. This was quite an interesting watch, especially the first half which showed the birth of computer animation and how it made it's way into movies, commercials, and TV shows. I think normally I'd be summing up about here, but hold on there folks because I'm still not done! There are a bunch of short behind the scenes featurettes here, such as how they got the movie to feel like it was filmed with a camera and not simply animated, and how they came up with all the various robot designs that are seen in the film. Then there's a couple more deleted scenes and just a whole bunch of other little stuff that I won't bother going into detail about. Don't wanna be here all day after all! This is a good film for both kids and adults, and a great release with tons of extras to keep you entertained for hours. Even if you don't watch all the extra features, you must watch the two animated shorts, because they're both great. And you'll want to check out the The Pixar Story as well, though young kids may get bored with that one. Anyway, definitely check it out.